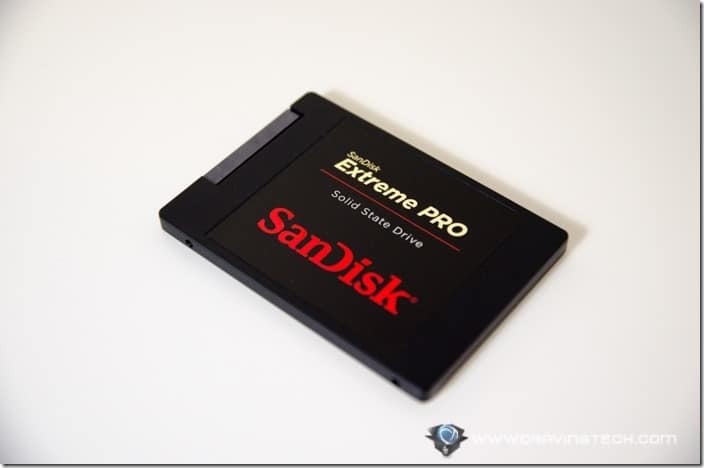 SanDisk Extreme PRO Review – When an SSD manufacturer decides to offer a 10-year warranty on their SSD, you know how wonderful this drive is going to be. For the non-geeks out there, an SSD (Solid State Drive) is a data storage device with no moving parts (unlike your traditional hard drives). Without going into much details, an SSD basically has a very fast read and write speed, compared to the good old Hard Disk Drive (HDD). Even most brands have now taken advantage of SSD’s glowing performance and include them in their line of products like Laptops and Ultrabooks. 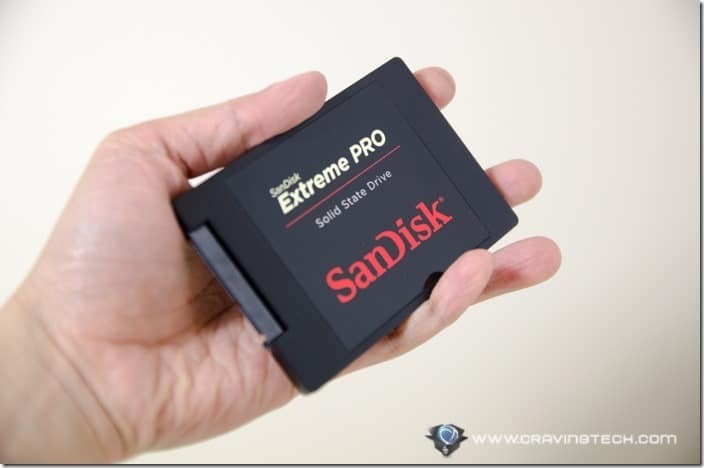 What SanDisk does this time though, is designing a premium SSD made specifically for gamers (or those who require top of the line performance) – the Extreme PRO. SanDisk Extreme PRO SSDs utilise the Innovative nCache™ Pro Technology for a high and stable performance throughout years of abuse. With new games being installed and accessed frequently, consistency of performance is indeed a solid requirement for many serious PC gamers. You can grab either the 240GB, 480GB, or even the whopping 960GB version for your gaming needs. SanDisk has kindly supplied me with a 960GB Extreme Pro SSD to test on, so I was really excited about it. 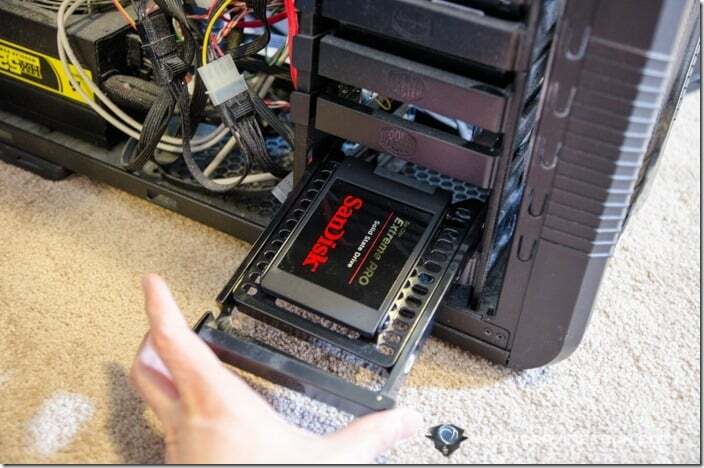 If you like to purchase new games every now and then, an SSD with bigger space is always a plus (though it can get quite pricey to acquire one). And there are not many out there at the moment that can offer such high capacity. 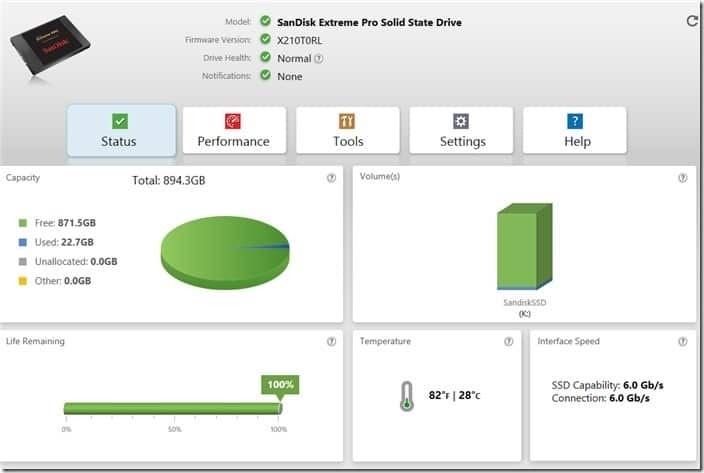 With SanDisk SSD Dashboard, a free tool from SanDisk, you can monitor your Extreme Pro SSD for problems and to ensure that it’s running at its highest performance. For example, the app will detect if you are connecting it with the right SATA 6GB/s connector cable. There is also a “Life remaining” health bar which represents the number of writes remaining that the drive can perform during its lifetime (or basically, when you should replace it with a new one). According to CNET, the Extreme PRO has a life endurance of more than 80TB – which is seriously long. In terms of speed performance, this drive is fast. Really fast. SanDisk research paper measures sequential read speed of 550MB/s and sequential write speed of 515MB/s! 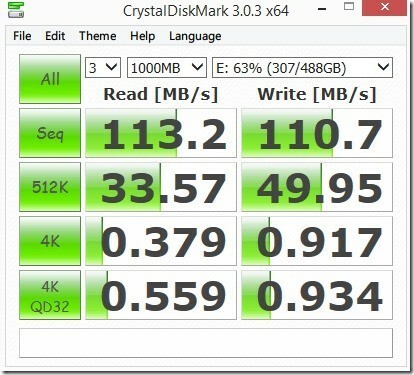 For random data test with CrystalDisk benchmark, SanDisk Extreme PRO still shines – twice as fast as the Kingston SSD I’m using. With such a huge jump of performance from my old HDD to SanDisk Extreme PRO, I cannot resist not noticing the difference in speed. When playing online competitive games like Titanfall, fast map loading gives a huge advantage because you can start moving or positioning yourself before some of your enemies can (yup, some are still stuck at the loading screen). For a single player experience, Extreme PRO is also a huge time saver, especially when playing “heavy” games that require a whole chunk of map load every now and then. 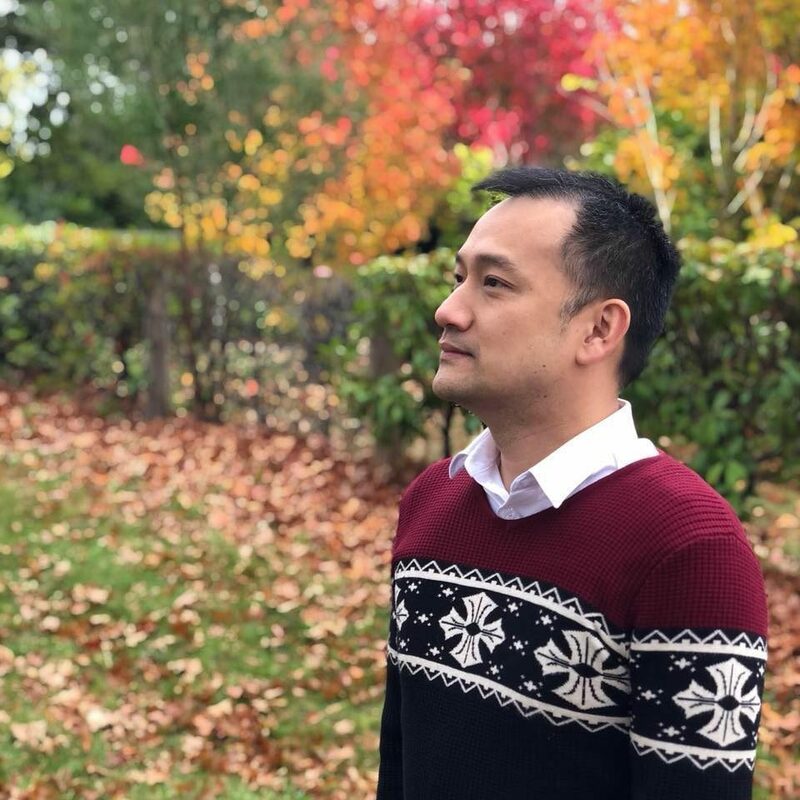 According to a stat from SanDisk, Aussies lose 5.52 days every year because of slow computers. I guess those minutes and seconds waiting for my save games to load actually start to pile up. 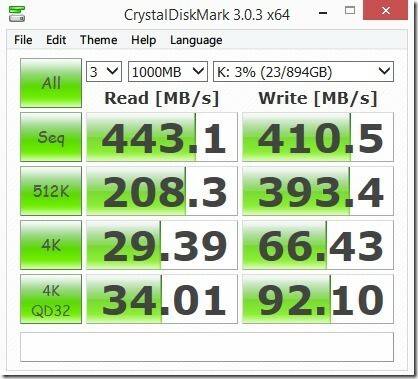 Overall, SanDisk Extreme PRO SSD is definitely one of the fastest SSDs in the market (if not the fastest at the moment, from what I’ve read so far). 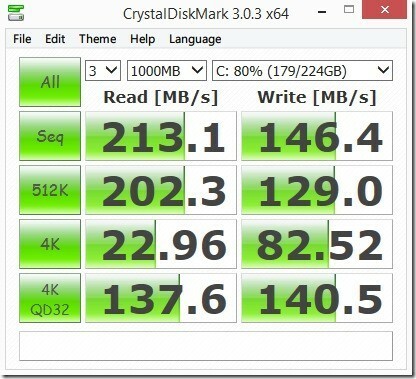 The difference in speed is definitely noticeable, especially if you are coming from a non-SSD background. Even if you are already using an SSD (of a much slower speed like my Kingston SSDNow V+200), you should notice the speed increase too. This high-end, premium SSD is also available in a huge 960GB capacity, which is rarely to be seen in the current SSD market. Note that this remarkable speed is not just for gamers, definitely. Those who require the highest performance such as for graphic intenstive applications, will benefit from it. Huge capacity, huge performance, huge stability, huge 10-year warranty. Enough said. Disclosure: Review sample was sponsored but all opinions are mine and not paid.